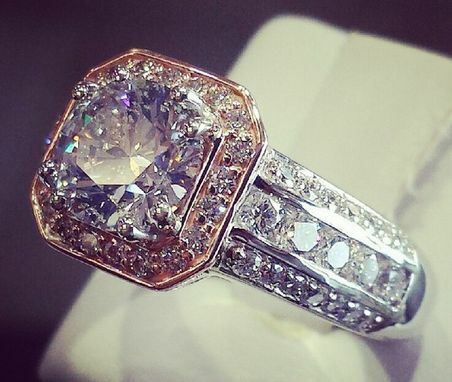 A beautiful two tone rose and white gold 14kt diamond engagement ring. The ring consists of one Round 1.70 Carat Diamond, which is offset by pave set round diamonds and channel set round diamonds. The ring made by hand has a 3 Carat total Diamond weight.